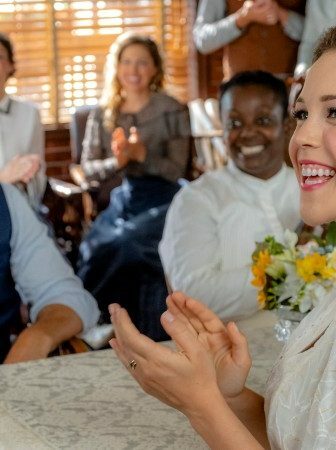 After a long hiatus, due to the Olympics and The Oscars, this past Sunday Heartland was finally back with a new episode. And it was one that was Heartland to the core. Why you ask? 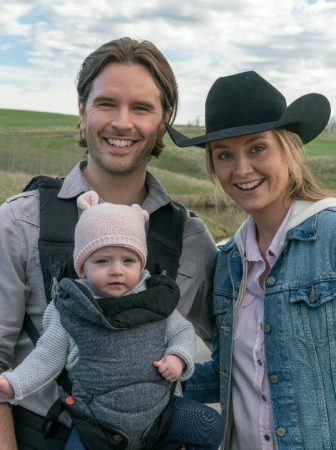 Let’s find out in this Heartland season 11 episode 15 recap, shall we? 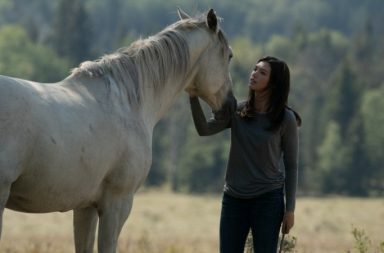 The first big storyline of Heartland season 11 episode 15 was all about Amy helping a horse and its rider. 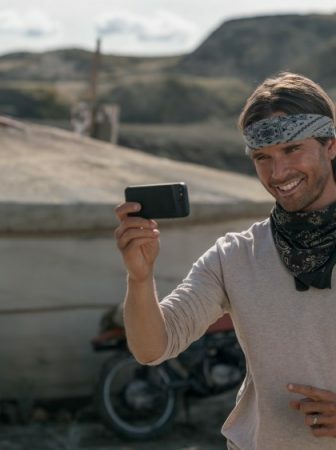 And as per usual, Heartland writers found a way to take this Heartland trope and turn it into something special. At the very beginning of the episode, we saw Georgie training with Phoenix at the Westfield’s private jumping arena (you might remember Paula Westfield and her daughter Peyton from episode 8). And while there Georgie saw Peyton’s horse Tyson attacking some of the other horses at the course. 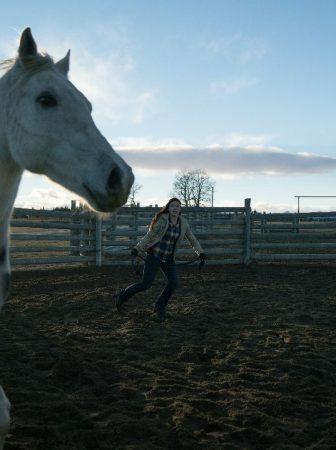 So Georgie decided to get Amy to help Peyton and her horse. Especially, since an official with Equestrian Canada, Canada’s governing body for equestrian sport and horse welfare, saw it all go down and threatened to fail a complaint against Tyson, which would prevent Peyton from competing on him. Amy agreed to take a look at Tyson. Albeit reluctantly after her previous experience with the Westfields. And the way of helping Tyson took Amy back to the days when her mom was doing what she does now. Because Amy found a way to help Tyson’s aggression issues in her mom’s journal. And, as it turned out the first duo that Amy’s mom used this trick on was Jack and Paint. Because, when Paint was young he had the same issues. So Amy used her mom’s method, and although it took some work, in the end, Peyton learned how to put her frustrations aside and take charge. Meaning that Amy did her job at helping Peyton and Tyson. And Peyton even got to prove the EC guy that Tyson didn’t deserve to be prohibited from competing. I’d call this a big win for all involved. But especially for Amy, who got to help a horse using her mom’s wisdom. The second big storyline of this episode was Jade returning to Hudson for Thanksgiving weekend and finally finding out about Tim’s health problems. Ever since Jade decided to go to Texas in episode 12 we were wondering when she will turn up again. 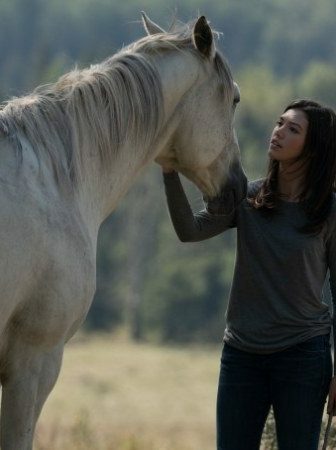 And we didn’t have to wait long because on Heartland season 11 episode 15 Jade was back. Yet her return definitely didn’t go as planned. 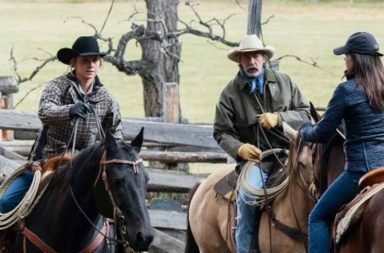 After Jade visited Tim’s rodeo school and saw that Tim was back in his element, she told Georgie that right before she left for Texas she was worried that something was wrong with Tim. And Georgie not being able to keep a straight face caved and told Jade about Tim’s MRI and the possible tumor. So Jade being Jade decided to confront Tim about it. Telling him just how Tim sending her away and not telling her about his health made her feel. Luckily, Tim, realizing that he made the wrong decision when it comes to not telling Jade about his possible tumor, apologized to Jade. And after Jade talked to Jack, and he told Jade about his health scare, she understood Tim’s reasoning behind not telling her. Yet that only strengthened her resolve of quitting Texas and moving back to Hudson to train in Tim’s rodeo school. So it looks like Jade is back home for good. And we will be seeing more of her after all. Which is great, because I love the dynamic between Tim and Jade. It really is like no other relationship on the show. One of the things I loved about Heartland season 11 episode 15 the most was the Thanksgiving stuffing storyline for Jack and Lisa. Mostly because it told us about another Bartlett family tradition. And gave us a valuable life lesson in the process. As it turns out, Jack’s late wife Lyndy used to make this secret-recipe stuffing every Thanksgiving. And she passed it down to Lou, who took over the duties after Lyndy passed. However, since Lou couldn’t make it back home for Thanksgiving, the rest of the family was left without a way to make the stuffing. Lisa, of course, volunteered to make it. If only Lou would give her the recipe. But, since Lou didn’t reply to Lisa’s text for days, Lisa automatically though that Lou didn’t think of Lisa as family enough to share her grandmother’s recipe with her. Which led to a huge misunderstanding. Luckily, by the end of the episode, Lisa decided to take Jack’s advice and actually call Lou, not just text her. And the misunderstanding was quickly cleared up. Lou hadn’t received the text, which is why she didn’t even know about Lisa’s request for the recipe. And the episode ended with a beautiful family dinner complete with Grandma Lyndy’s stuffing courtesy of Lisa. But this storyline just goes to show, how technology, even though super useful, can also sometimes harm us and our relationships. So the moral of the story is, sometimes a text isn’t enough. If you need something, sometimes the best way to get it is to call. What do you think about this notion? Have you experienced a similar situation because of lost text, email or another form of communication? Leave a comment below! I would love to know. 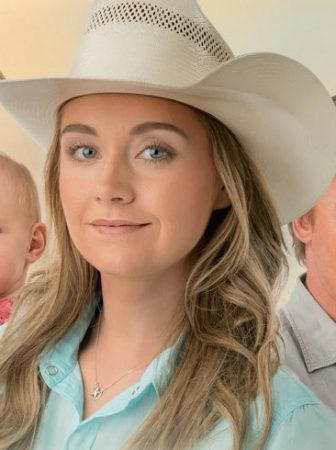 Finally, when it comes to Georgie, in this episode we saw her not only help Peyton by convincing her to bring Tyson to Heartland and let Amy work with him. But we also saw Georgie and Wyatt’s relationship evolve. During the first half of Heartland season 11 episode 15, we saw Wyatt spoiling Georgie with bouquets of flowers and promises of fancy dinners. And, while Georgie was flattered by all that, she didn’t feel the necessity of it all. Since she much more liked the Wyatt who comes to trail rides with her, not the one who gifts her roses. So when Wyatt took Georgie to a fancy and expensive restaurant in Calgary, only to make Georgie dine and dash after the meal, because he couldn’t pay for it, she voiced her frustrations to him. Telling that she isn’t in the relationship for the things he can buy her. And luckily Wyatt heard her, promising to go back to being the boy who took her on a road trip to Gopher Museum. It seems that despite all the complications, Georgie and Wyatt’s relationship is going strong. And hopefully, it will continue on that path because they are seriously cute together. 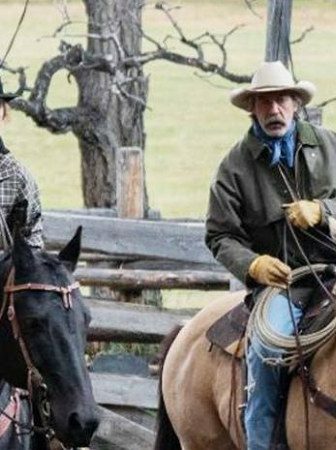 I think that this episode was the perfect lead-in for the last three episodes of Heartland season 11. 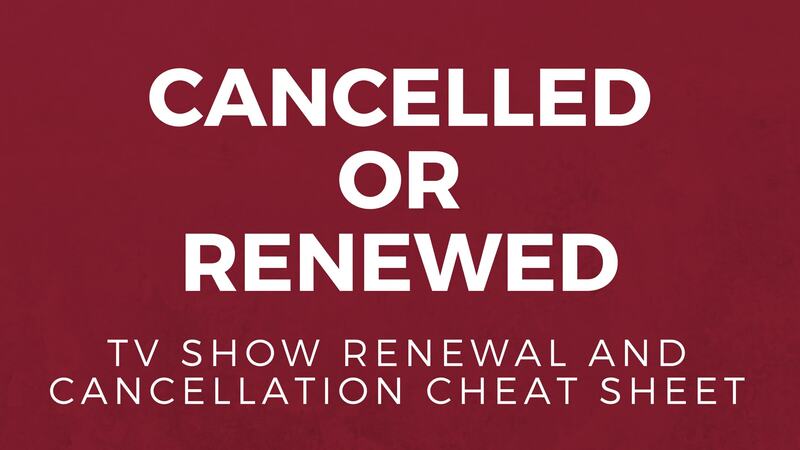 Which will air on March 18, April 1 and then conclude the season on April 8. Because usually towards the end of the season things get a little crazy and hectic. 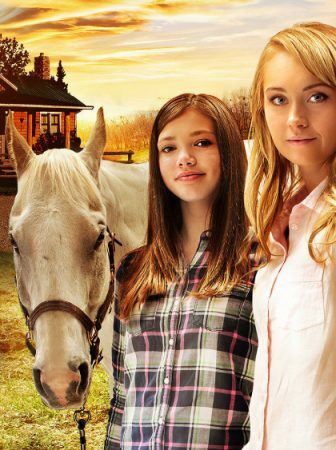 However, Heartland season 11 episode 15, although still was entertaining and interesting, wasn’t as fast-paced. Meaning that it gives us enough time to prepare for some of the craziness that I am sure is about to come our way in the last three episodes of the season. And also, although we don’t know yet if there will be Heartland season 12 because that decision is usually revealed during the week of the season finale. I have a pretty good feeling about Heartland continuing on for at least another season if not more. So while we wait for news regarding if there will be Heartland season 12 or not, make sure to watch the last three episodes of the season. Ratings count and each view gets us closer to getting a twelfth season! I am a baby boomer so this texting idea is a little hard to get used to. I agree that calling a person on the phone is more effective it depends though how much a person is tuned into their texting or checking voice mail I am with Jack on this one calling was best for this situation We assume all kinds of things like Lisa did so it is a good idea to get the facts 1st!! Why was Ty not at Thanksgiving Dinner? Ty was away at some conference. At least that's what Lisa said where Ty was and why he couldn't make it to the Thanksgiving Dinner.